Government guarantees of 199.1 billion ringgit, or 14.6 percent of GDP. The government is committed to paying the debt of entities which are unable to do so, including 42.2 billion ringgit for Danainfra Nasional Bhd, 26.6 billion ringgit for Prasarana Malaysia Bhd and 38 billion ringgit for 1MDB. Lease payments for public-private projects of 201.4 billion ringgit, or 14.9 percent of GDP. The government is obligated to pay for rental, maintenance and other costs on a number of projects, such as construction of schools, hospitals and roads. “Our selling price has been adjusted by about 10% already, but still that is not sufficient. So, the profit has dropped. For this reason, we need to increase our market share to sell more. The growth of the tissue paper business in the domestic market is less than 3% a year, which is in line with global growth. In Vietnam and Indo-China, however, the growth is faster, which is why we are expanding the Vietnam operations.” Lee said the group was targeting to double the contribution from Vietnam by 2019 to RM80mil from RM40mil. The tissue paper business generates about 65% of group revenue, while the personal care segment contributes 35%. Some 90% of the personal care business is generated from the local market. Despite the challenging and highly competitive local market conditions, the group succeeded in raising the revenue from the personal care segment by 9.4% to RM199.9mil in 2017.
the ASEAN Free Trade Agreement. Our resins segment is expected to continue to operate in a challenging environment due to higher raw material prices that may affect our profit margin. Nevertheless, we will work on passing on incremental cost to customers to cushion the impact of higher raw material prices. Our ethanol segment will feel the full year impact of the excise duty hike in October 2016, which has affected sales of our potable alcohol. We will continue to intensify our marketing efforts and work on increasing sales of higher margin products. The Group’s polyethylene culverts are increasingly being accepted by both the government sector in road construction projects, and the private sector especially oil palm plantations for drainage infrastructure. The growing emphasis on environmental sustainability and green technology also bodes well for the Group. Over the years, the Group has significantly grown and enhanced its human and engineering capital, via active involvement and collaboration with a network of established international organisations. The Group has been successfully playing, and will continue to play, the role as a provider of environmental engineering solutions; such as in the field of water and wastewater treatment, septic sludge treatment and renewable energy. The completion of Wegmans’ new plant, slated for 4Q19, is projected to increase the group’s annual production capacity to 960,000 units of chairs and 380,000 units of tables for the dining room, living room and bedroom, according to the IPO prospectus. Wegmans aims to start exporting its products to more European countries besides expanding its presence in existing markets following the increase in its capacity, said the group’s executive director Collin Law at the launch of the group’s prospectus yesterday. “For FY16, approximately 98.42% of revenue and 9.53% of purchases were denominated in US dollars,” Wegmans said. The remaining sales and purchases were recorded in ringgit. An 84.22% foreign composition of its workforce may also squeeze Wegmans’ margins going forward as it had to pay the new levy for foreign workers since Jan 1. A quick check on Ninja Logistics Sdn Bhd’s financial statements show that the company’s revenue for financial year 2016 (FY16) soared more than five times to RM6.77 million from RM913,589 in FY15. However, its loss after tax widened to RM6.09 million in FY16 versus RM1.07 million in FY15. 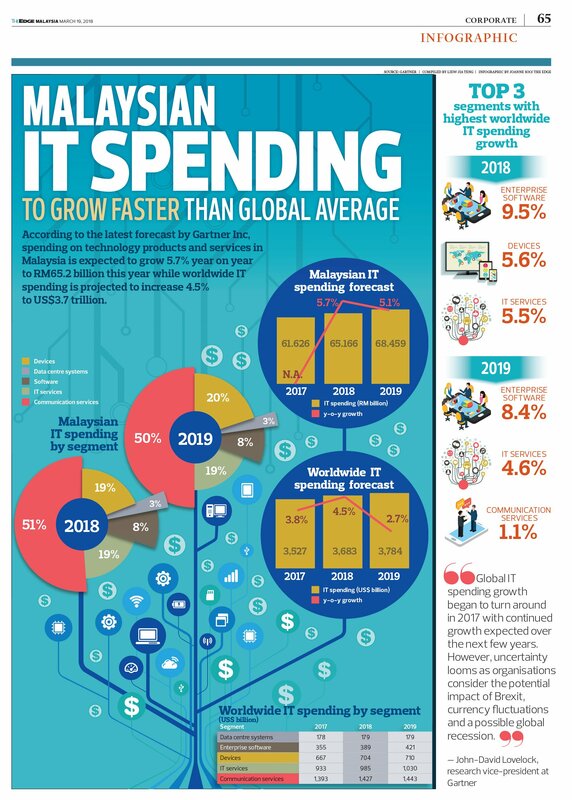 BMI Research projects the region’s six biggest economies will boost e-commerce to $64.8 billion in 2021 from $37.7 billion last year, while Credit Suisse Group AG estimates that online shopping growth could outpace that of traditional retailers by six to 10 times over the next few years. The Customs Department in Malaysia has been talking about plans around taxing foreign e-commerce players for months. While nothing is in hand yet, BMI Research’s Singh sees Malaysia following Singapore’s lead with a 6 percent levy on these online providers. China already accounts for more than a fifth of the money spent by outbound tourists, twice as much as the next-biggest spender, the US, according to the United Nations World Tourism Organization. And the Chinese have barely started — only around 5% of them even have passports, and the government is issuing about 10 million new travel documents every year. The shift is transforming the region, unleashing more than US$100 billion in infrastructure spending for bigger airports and jet fleets, new railways, hotels and theme parks. The effects of this boom include soaring property prices, stress on the environment and an avalanche of apps and innovations that reimagine the way we experience the world.